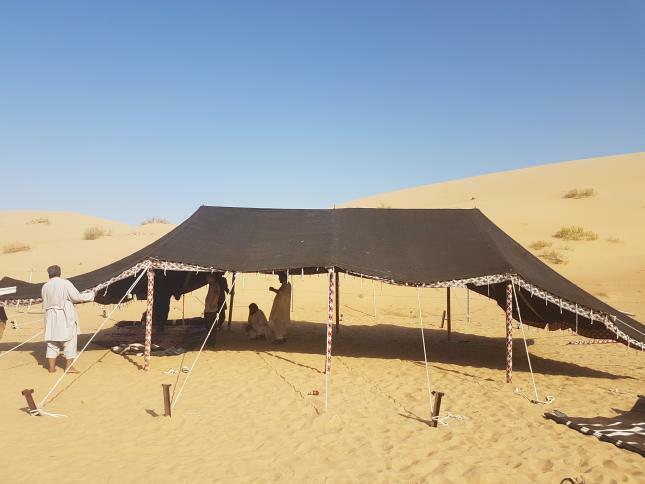 Inspired by the tents of nomadic Arabian tribes, the modern-day version shares an uncanny resemblance (in aesthetic and application) to its 19th Century ancestor. 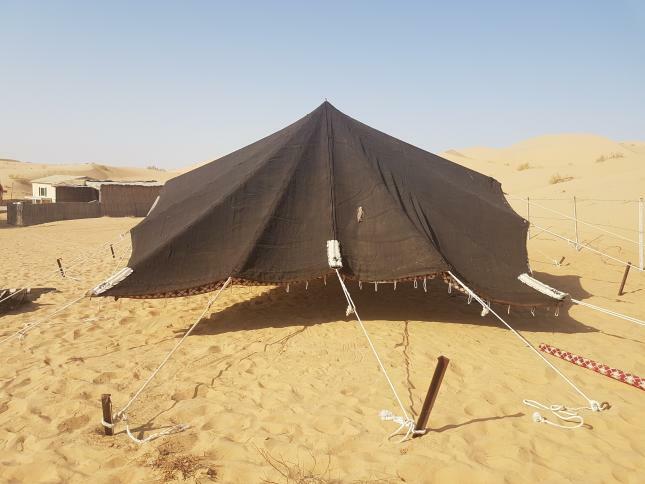 While new-age bedouin tents are made from revolutionary high-tech material that’s both stretchable and watertight, traditional bedouin tents are made from organic materials that had to be dual-purpose to adapt to the desert climate: Temperature-regulating and waterproof. 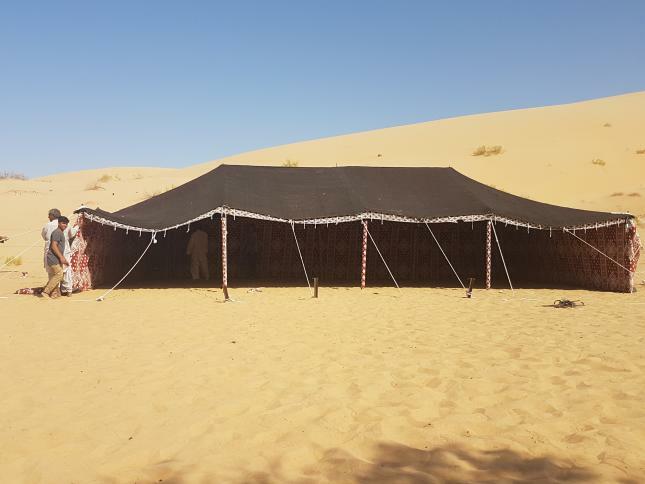 Made from either black goat or camel hair, the dark fibers attract the sun’s heat to keep the tent cool during the day and warm during the night. When it rains, the fibers swell to block out water and create a waterproof seal. 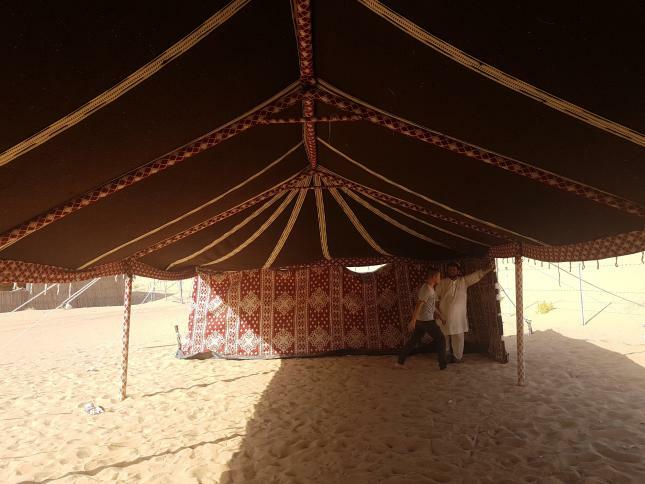 As a bedouin (or stretch) tent manufacturer that has played an integral part in shaping the industry, we believe it’s important to honour and truly understand the heritage of the first generation bedouin tent. And what better way than to go to the source. We were busy planning a trip to the UK when we received an invitation from a potential client in Abu Dhabi. We figured a pit stop en-route was in order. 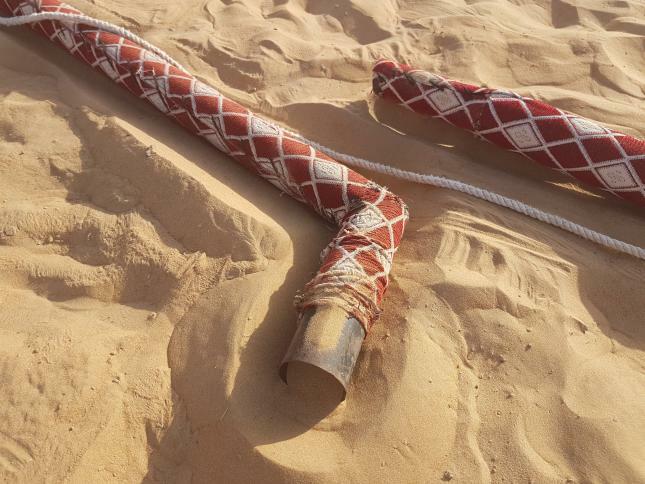 We couldn’t resist the opportunity when asked if we’d like to observe the rigging of one of their ancient bedouin tents. 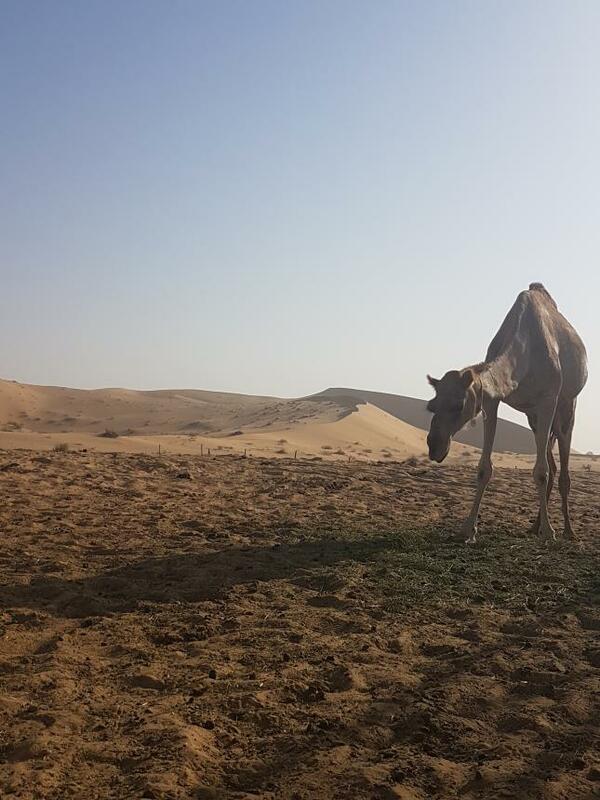 In the heart of bedouin country, that’s exactly what we did. We arrived at the camp deep in the desert where day-time temperatures peak at around 46°C, so getting an early start – at 7am when it’s a cool 32°C – was crucial. Arabian for “house of hair”, the Buryuut Haja has not changed much over the years, with the exception of the framework now made up of interlocking metal poling which is covered with a beautiful woven cloth. 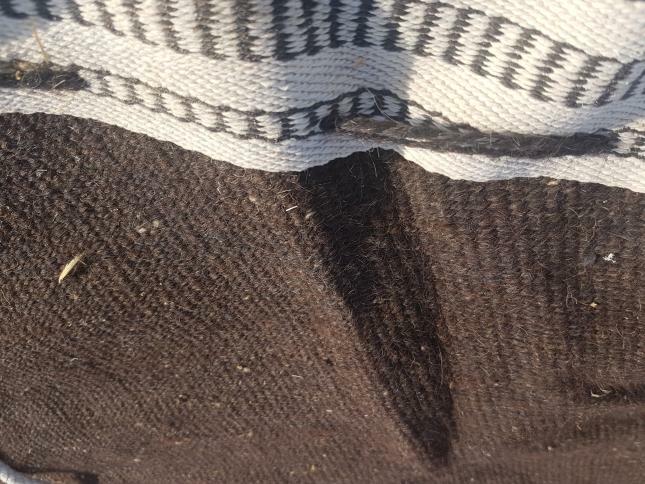 The membrane, however, is still made from black goat’s hair. Pitching the old lady required six riggers to get involved, while only one knew exactly how to put the structure up. Naturally, fervent shouting ensued, but in no time at all the structure began taking shape. See the time lapse below for the full journey. The Buryuut Haja is supported by ropes that are fixed to the outer edges of the roof that are quite simply draped over the framework. A series of walls are then inserted to complete the structure. Simple yet effective. 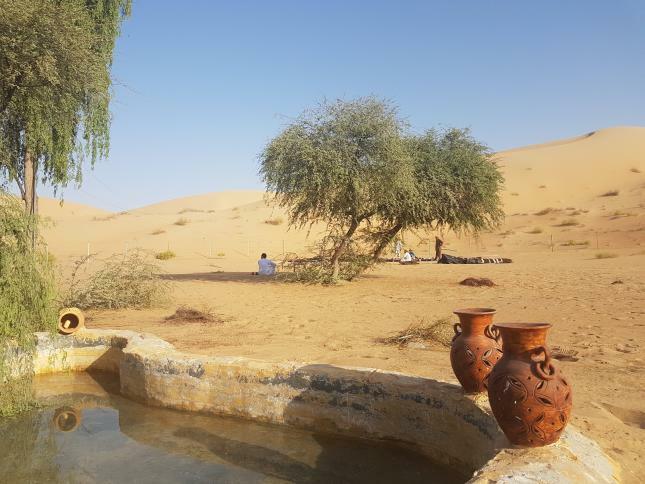 One could immediately feel it was much cooler underneath the shade of the bedouin. Once the main guide ropes are in place, a series of walls are then inserted to brace the structure, each with its own set of guide ropes. 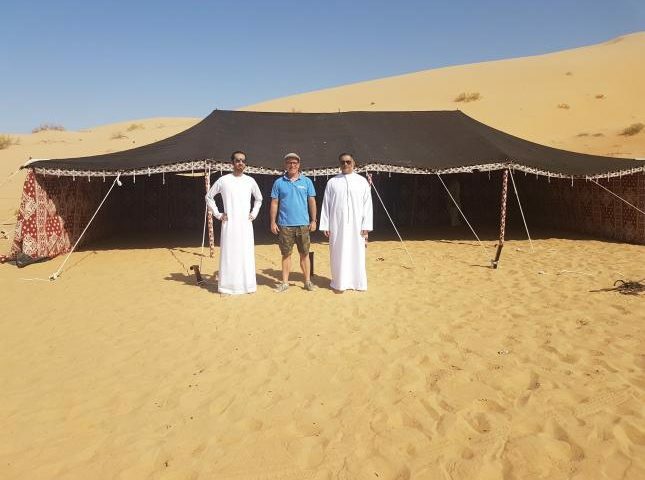 As romantic as it was to help pitch a traditional bedouin tent in the Abu Dhabi desert, we’d choose a high-tech stretch tent any day of the week. This is why. 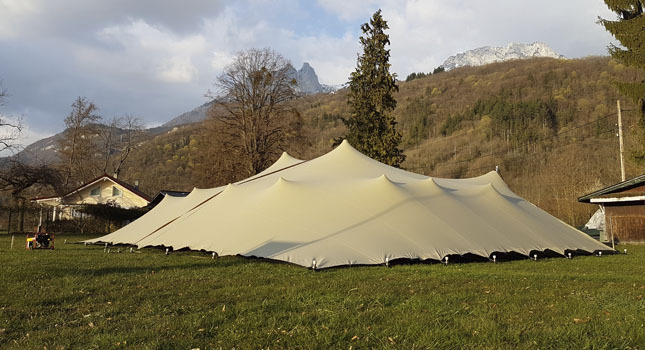 The membranes and poles of modern stretch tents are super lightweight, making them cost-effective to transport and store. 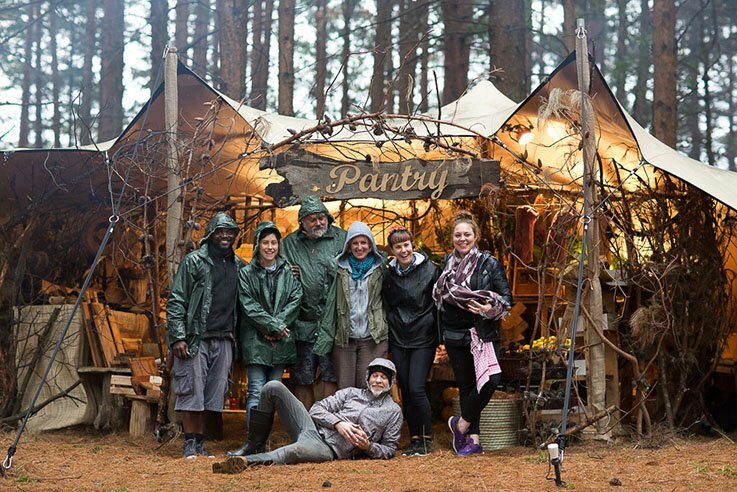 Setup is quick and easy compared to more traditional tents (like marquees), requiring only one skilled and two unskilled riggers. 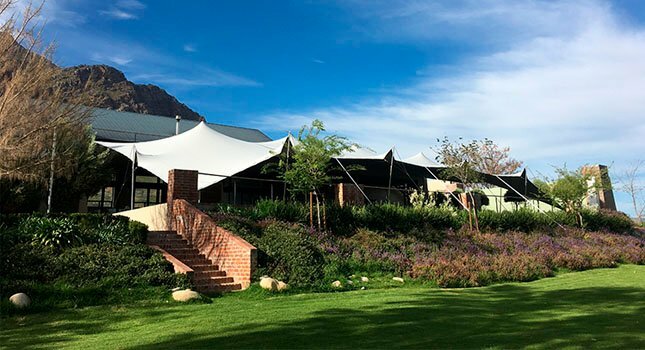 Our fabric is coated with dirt repellents and treated with mould and fungal inhibitors, making the tent a breeze to clean. The fabrics are available in a variety of colours, and they can be branded, too. Last, but not least, modern stretch tents are modular in nature, allowing you to rig the same tent in various configurations.